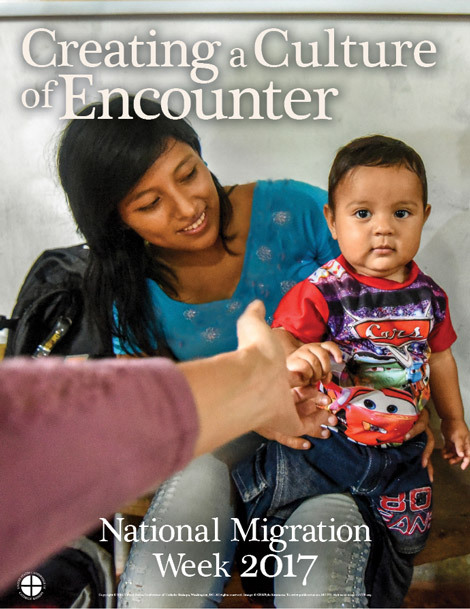 During the 2017 National Migration Week of the United States Conference of Catholic Bishops (USCCB): Creating a Culture of Encounter, you are invited to deepen your understanding of the reality faced by many Catholic “Dreamers” in our area and across the country. The evening will begin with opening remarks by Most Reverend Eusebio Elizondo providing the USCCB’s perspective and will be followed by a brief video on the topic. The video will be followed by a panel conversation with fellow Catholic “Dreamers” from our area, moderated by Michael Ramos. At the end of the panel discussion, there will be a Q&A session to collectively explore ways of responding to Pope Francis’ and the U.S. Bishop’s call to foster a culture of solidarity and encounter.